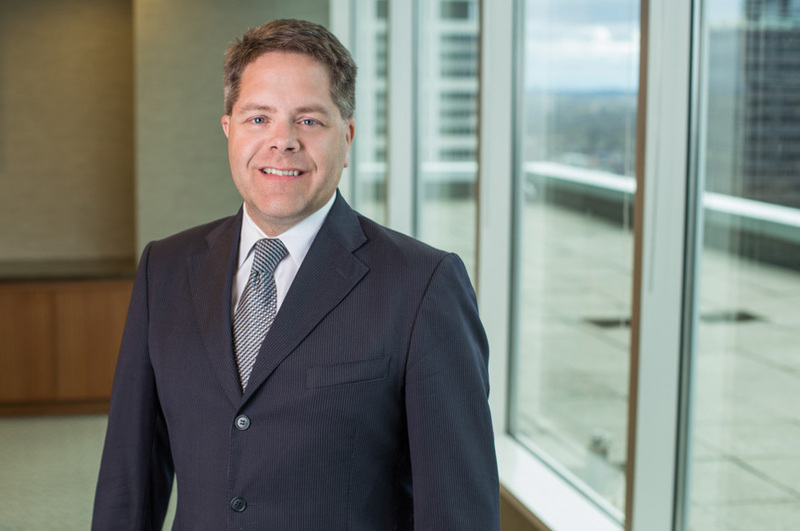 John Dragseth is a Senior Principal of Fish & Richardson, and has been named one of the top 50 IP attorneys in the country under the age of 45. He has also been named a Minnesota SuperLawyer multiple years. His practice centers on complex legal analysis and writing – in federal appeals, patent prosecution, reexamination, pre-suit and due diligence investigations, and patent opinions. His prosecution work centers on cloud computing, mobile computing, software, medical devices, and mechanical technologies (including HVAC). John has led the briefing on more than 30 appeals to the U.S. Supreme Court and U.S. Court of Appeals for the Federal Circuit, where he was previously a law clerk to the Honorable Raymond C. Clevenger III. He has extensive experience in taking over cases on appeal and framing them for the Federal Circuit, while working closely with trial counsel. He also enters cases frequently as a “fixer” — helping with tough and important issues. (The similarities with George Clooney’s “Michael Clayton” character end there.) John writes and lectures frequently on a variety of patent law topics. He is also an adjunct professor teaching IP litigation at the University of St. Thomas Law School, and has authored case books on patent law and IP litigation (very exciting reads). He was raised on a small grain and sugar beet farm in Northern Minnesota. Interview, Fish Post-Grant Radio: Episode #6 (July 7, 2017). “Alert: Federal Circuit Narrows the Types of Patents That Can Be Challenged in a Covered Business Method Review,” Fish Litigation Blog (November 22 2016). Quoted in Law360, “Fish’s John Dragseth Quoted in Law360 Article “PTAB Appeals Face Tough Road After Latest Fed. Circ. Ruling,” September 28, 2016. Quoted in Law360, “AIA Appeals To Watch At The Federal Circuit,” August 16, 2016. Quoted in Law360, “Fed. Circ. Can Handle Crush Of PTAB Appeals,” March 8, 2016. Quoted in Law360, “Newman Cements Status As Fed. Circ.’s Great Dissenter,” March 8, 2016. Quoted in “Decline in patent suits raises questions for attorneys, law firms,” San Francisco Daily Journal, November 11, 2016. Quoted in “Saying `Do It On A Computer’ Not Enough For A Patent, Supreme Court Rules,” Forbes, June 19, 2014. Co-authored, Validity Challenges: District Court Vs. Patent Office, Law360, December 18, 2013. Quoted in The National Law Journal, “Minnesota Draws Accolades for Settlement With ‘Troll’, August 21, 2013. Interviewed for Law360 Q&A, April 2013. “Patents: A Historical Perspective,” manuscript of casebook co-authored with Frank P. Porcelli, the John A. Reilly Visiting Professor of Patent Law at Harvard Law School. “Federal Circuit Year in Review: 2007-2008″ Chapter One, The IP Book (Midwest Intellectual Property Institute [MIPI] (2008)); “The Federal Circuit Year Being Reviewed,” Chapter One, The IP Book (MIPI (2006)); “Top Ten Federal Circuit Issues of 2004-2005,” Chapter One, The IP Book(MIPI (2005)); “Top Ten Federal Circuit Issues of 2003-2004,” Chapter One, The IP Book (MIPI (2004)); “Federal Circuit Year in Review: July 2002 to June 2003,” Chapter One, The IP Book(MIPI (2003)). “Districts and Decisions: Does Location Really Matter,” IP Law Review (Oct. 29-30, 2008) (presentation given in New York City on venue selection for patent cases). “Remedies After eBay,” Presentation given in Seoul, Republic of Korea (Dec. 10, 2006). “Recent and Pending Supreme Court Decisions in Intellectual Property,” Suffolk Law School (Oct. 5, 2006) (with Frank Porcelli). “Infringement Licensing from a Licensee Perspective,” Hot Topics in IP Licensing 2006 (Minn. CLE) (June 9, 2006). “Substantive Issues for Pre-Suit Investigations,” Minn. CLE (Feb. 2006). “Are Patent Attorneys Environmentalists? Post-Sale Restrictions on Use and Re-Use of Medical Devices,” Patent Protection for Medical Devices (Minn. CLE) (May 17, 2004). “Update on Attorney Opinion Issues in Patent Litigation,” Chapter Fourteen, The IP Book(Midwest Intellectual Property Institute 2003). “Claim Drafting in Contemplation of Implied License and Exhaustion Issues,” AIPLA Spring Meeting (May 14, 2003). “The Unappealing Prospect of a Federal Circuit Cross-Appeal,” Technology Law Alert (Mar. 2001). “Intellectual Property Law Catches Up With the Internet,” Technology Law Alert (Feb. 2001). “The Coming Scourge [sic, Surge] of Internet Patents,” wallstreetlawyer.com Magazine (Apr. 2000). “Coerced Waiver of the Attorney-Client Privilege for Opinions of Counsel in Patent Litigation,” 80 Minn. L. Rev. 167 (1995). “Are Business Methods Worthy of Being Patented?,” S.F. Daily J. (May 8, 2008) (quoted); “Federal Circuit Ruling Impacts Patent Owners,” Nat’l L.J. (Apr. 9, 2007) (quoted); “Patently Good Publicity,” IP Law & Business (May 2006) (quoted); “Lawyers Turn to Old Websites for Evidence,” Mass. Lawyers Weekly (Aug. 29, 2005) (quoted); “Panel Tosses the Dictionary in Patent Cases,” San Francisco Daily J. (July 13, 2005) (quoted). Recognized as “IAM Patent 1000 – The World’s Leading Patent Professionals” (2016-2017). “IP Star” by Managing Intellectual Property (2013-2017). “Litigation Trailblazer” by The National Law Journal (2016). Named as a “Top 50 Under 45″ attorney in IP Law & Business (May 2008). Editor-in-Chief, Technology Law Alert (M. Lee Smith Publishers) (2000-2002). National Champion, 1996 Giles S. Rich Intellectual Property Moot Court Competition. Wireless mobile devices, videogames, AJAX techniques, search engines, e-commerce, CAD/CAM, communications protocols, databases, process control, fraud prevention, location-based services, ATM machine operation, product activation, digital signal processing, enterprise resource planning (ERP), various investment vehicles, GPS, computer hardware, networking, telecommunications, and semiconductor processing. Biopsy devices and methods, cryotreatment, defibrillators (implantable and external), blood centrifuges, infusion pumps, stents, surgical tools, endoscopic instruments, ultrasound, catheters, heart remodeling devices, implantable heart pumps, medical scanners, nucleic acid microarrays, telemetry systems, blood analysis chips, implantable sensors, and molecular modeling systems. Wind generators and blade design, control systems, power supplies, thermal solar, semiconductor fabrication, hybrid vehicles, super-efficient HVAC systems, wave-powered and wind-powered systems, and green building techniques. Obtained affirmance of district court ruling and dismissal of part of appeal on behalf of client Google Inc. in iLor LLC v. Google Inc., __ F.3d __ (Fed. Cir. Dec. 11, 2008). Led appeal in obtaining full reversal of two independent claim construction issues in Predicate Logic, Inc. v. Distributive Software, Inc., __ F.3d __ (Fed. Cir. Oct. 9, 2008). Represented Microsoft in separate successful appeals against Lucent, including one that zeroed out a $1.5 billion jury award – the largest patent defense victory ever on appeal in Lucent Technologies , Inc. v. Gateway, Inc. and Microsoft Corp., __ F.3d __ (Fed. Cir. Sept. 25, 2008) and __ F.3d __ (Fed. Cir. May 8, 2008). Obtained complete reversal for our client (the patent owner) on 10 separate issues, and affirmance on all four issues raised by opponent. The technology related to computer architecture. Took over responsibility for appeal from another firm. Was lead counsel at Supreme Court opposing petition for certiorari after obtaining full reversal of summary judgment entered against client 3M. On remand, 3M won a judgment of infringement after a jury trial. The Federal Circuit’s precedential opinion centered around claim construction. The technology was repositionable adhesive signage. 3M Innovative Properties Co. v. Avery Dennison Corp., 350 F.3d 1365 (Fed. Cir. Dec. 2, 2003). Obtained full reversal of judgment previously entered against client R.E. Service Co. (and against company’s founder personally) before the en banc Federal Circuit, in a case that solidified the “disclosed but unclaimed subject matter” limitation to the doctrine of equivalents. Johnson & Johnston Associates v. R.E. Service Co., 285 F.3d 1046 (Fed. Cir. Mar. 28, 2002) (en banc). Took over responsibility for appeal from trial firm. Obtained full reversal (on six separate issues) and reinstatement of jury verdict and damage award for client Mentor. The technology was use of ultrasonic technology in medical procedures. Mentor H/S, Inc. v. Medical Device Alliance, 244 F.3d 1365 (Fed. Cir. 2001). Took over responsibility for appeal from another firm. Led briefing in appeal that secured full affirmance of a jury verdict of noninfringement in favor of client Sunny Fresh Foods. (a Cargill company). The plaintiff had sought over $100 million in damages but ultimately obtained none; it instead paid substantial costs to Sunny Fresh. The technology was liquid egg pasteurization techniques. Sunny Fresh Foods, Inc. v. Michael Foods, Inc., 2005 WL 858015 (Fed. Cir. Apr 15, 2005). Took over responsibility for appeal from another firm. Obtained affirmance of substantial attorney fees award to client Acorn Mobility in case announcing that a patent applicant must explain a failure to disclose highly material information to the Patent Office when the applicant is charged with inequitable conduct. Technology was home stairlifts for handicapped individuals. Bruno Independent Living Aids, Inc. v. Acorn Mobility Services, Ltd., 394 F.3d 1348 (Fed. Cir. Jan. 11, 2005). AT&T v. Microsoft Corp. – filed amicus brief with Supreme Court on behalf of Autodesk Corp., arguing that 35 U.S.C. § 271(f) does not apply to copies of computer programs made outside the United States. KSR Int’l Co. v. Teleflex, Inc. – drafted Supreme Court amicus brief that was filed by 3M, General Electric, Proctor & Gamble, DuPont, and Johnson & Johnson, relating to the “motivation to combine” requirement of 35 U.S.C. § 103. Medimmune, Inc. v. Genentech, Inc. – drafted Supreme Court amicus brief that was filed by 3M, General Electric, Proctor & Gamble, and DuPont, relating to the predicates for declaratory judgment jurisdiction in the context of patent license agreements. Knorr-Bremse Systeme Fuer Nutzfahrzeuge GmbH v. Dana Corp. – filed amicus brief with the en banc Federal Circuit on behalf of Microsoft, advocating more restrained application in certain circumstance of the inference that a patent defendant’s infringement has been willful. J.E.M. Ag-Supply v. Pioneer Hi-Bred Int’l, Inc. – filed amicus brief with Supreme Court for Cargill in support of victorious party Pioneer. The appeal addressed whether sexually-reproducing plants should be eligible for utility patent protection. Schism v. United States – was lead counsel for Disabled American Veterans (DAV) and the National Organization for Veterans Advocates (NOVA), pro bono before Federal Circuit and Supreme Court. The appeal centered around governmental refusal to pay promised benefits to thousands of career soldiers. Has consulted on numerous other litigations – before, during, and after appeals – for Fish & Richardson litigation teams and teams from other firms.